The Klis fortress rises on a cliff and is divided in two parts. The western part is lower and lies beneath the Greben hill, while the eastern part, with round tower Oprah, the most important medieval fortress of the fort is higher. The only entrance to the fortress was on the west side. On and beneath the southwest side of the fortress there were Klis suburbs counting 100 to 200 houses, encircled by double walls. Another small settlement spreads to Greben, on the plateau called Megdan. There were lazaret and quarantine as well as lodgings for passers-by in Turkish times. In proximity to the fort there were several springs of drinkable water, and the nearest was the Holy Three Kings spring, whose importance was invaluable for long sieges. The oldest fortress, the Roman castrum, has not been materially located so far but is considered to have been on the highest eastern side of the cliff. Castrum described by old writers was probably used by Croatian Trpimir because it was still preserved in his time. Also, in nearby Rižinice there was a church with a royal altar block and a engraved inscription with the prince’s name: PRO DUCE TREPIM (ERO). In today’s Klis fortress numerous ornamental structures have been preserved in whole or in part, mostly from Venetian and Austrian periods. The fortress itself consists of three enclosed parts with separate entrances. The first or main entrance was built by the Austrians in the twenties of the nineteenth century at the same location as the older entrance from the Venetian era. The second entrance is the medieval entrance to the fortress which was significantly damaged in the siege of 1648. The Venetians completely renewed this entrance, and its present appearance is the work of Austrian authorities in the 1920s. Next is the third entrance which was built in the Middle Ages. In the mid-18th century, the Venetians refurbished it several times, and the last extension was made in 1763. The providur’s apartment, also known as the Count’s house, was built in the middle of the 17th century. 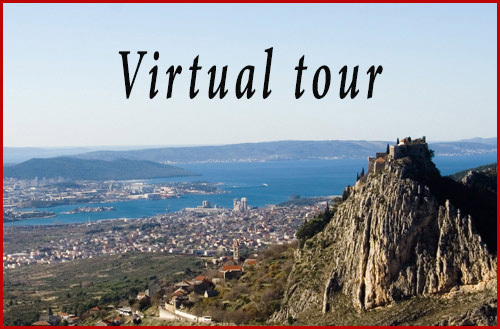 It was built on the foundations of the oldest buildings from the period of Croatian rulers and later Klis princes. The Austrians repaired this building and had a fortress command center and engineering department. To the west of the church is the Bembo bastion, the largest artillery position in the third defensive ring and throughout the whole fort. In today’s scale it was built in the middle of the 17th century on the site of the former Kružić tower. 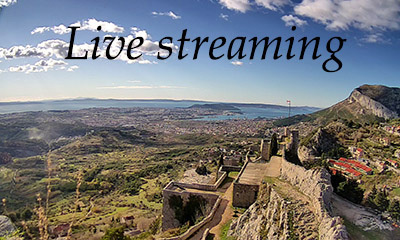 Due to numerous subsequent constructions and renovations it is impossible to define the Klis fortress in its entirety. Obviously, this great fortress once served as a chateu, but it was also the center of regal power. Afterwards, it is obvious that its strategic and defensive value became dominant while the housing was completely neglected. The construction of the bastion and all the newer reconstructions have made this great and impressive fort a real fortress.